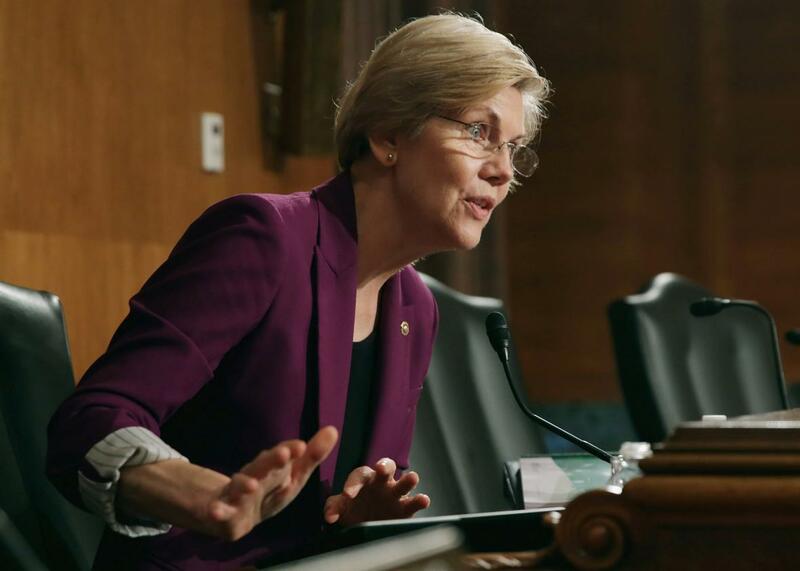 Tuesday brings us yet another skirmish in the ongoing war between Massachusetts Sen. Elizabeth Warren and the U.S. financial services industry. The latest front? Annuities. Chances are good that if you’re over the age of 40—and most certainly if you’re older than 50—you’ve been pitched an annuity, or what the insurance industry sometimes terms “guaranteed lifetime income” or “income for life.” You probably received a letter in your mailbox or inbox, suggesting you attend a free meal at someplace like Maggiano’s Little Italy to learn about an exciting “insurance sales presentation” that can solve all your financial woes. That’s pretty much how it goes. My husband once received one that claimed it could help us pay for everything from our mortgage to our children’s college tuition bills, not to mention our day-to-day spending in retirement. That’s the annuity, which promises its purchasers a guaranteed lifetime income in exchange for a lump sum payment. Is it worth it? Here’s what you almost certainly didn’t hear as you nibbled your chicken and spinach manicotti at Maggiano’s: that the solution being promoted has the potential to solve the seller’s financial woes more than your own, especially if their woes involve expensive vacations to places like five-star Caribbean resorts. Annuities are the subject of a report released Tuesday by Warren’s office, the culmination of an inquiry she began last April, asking 15 of the nation’s largest insurers, including Allianz, Met Life, and AIG, to disclose what they offered insurance brokers in exchange for selling their wares to consumers, a practice generally known to most of us as kickbacks. The problem is obvious. These incentives encourage less-than-ethical behavior, situations where the annuity is sold to a customer whom it may not help. And, yes, these perks are perfectly legal, so legal they’re a long-standing industry practice. Think of it this way: You get a free Italian meal, so the broker can hopefully receive many, many free meals in places like Atlantis in the Bahamas, the Ritz-Carlton in Aruba, or the Four Seasons Resort in Punta Mita, Mexico. Warren discovered that of the 15 insurers her office queried last spring, 13 were either providing these gimmes to independent insurance brokers directly or doing it through a middleman. The loophole that permits this? Companies disclose in their sales brochures that they offer their salespeople “non-cash compensation” including “entertainment and travel expenses.” Not only is the language bland, it’s buried beyond buried. One company put the information on page 70 of its annuity sales prospectus. Another placed it on page 135. A third—Prudential—was relatively responsible, only requiring its prospective customers to read to page 55 to get to the less-than-adequate conflict-of-interest information. As I’ve written before, most consumers believe anyone they seek out for financial advice has a legal duty to act in their best interests, something called the fiduciary standard. This is rarely true. Depending on how he is licensed and credentialed, a financial adviser (a term that means nothing in any legal sense) can put his own financial interests ahead of his clients’, as long as what he recommends is considered “suitable,” a standard that is not exactly hard to meet. The Obama administration would like to end this, at least when it comes to individual retirement accounts. It estimates that allowing financial advice-givers to put their clients’ needs second is costing consumers $17 billion annually on their retirement investments alone. Warren is a leading champion of the Obama administration’s attempt to expand the fiduciary standard so it covers more interactions between consumers and financial advisers, and her attack on the sales practices of the annuities industry is her latest volley. Annuity sales—which totaled $235 billion last year—are a particularly scammy area. They are a relentlessly confusing “product,” as the financial services industry likes to call its wares, and span everything from a simple exchange of cash for lifetime payments to complicated indexed and variable annuities, where gains are pegged (though capped!) to the performance of the stock market. Aggressive salespeople—often seeking the excellent commissions the insurance companies pay, not to mention the freebies referenced by Warren’s report—all too frequently push them on almost anyone who is breathing, and that includes rather elderly people who will almost certainly lose money on the deal. The industry pushback to the administration’s efforts to put a stop to all this has been fierce, with many claiming that when it comes to small investors, they literally can’t afford to give advice if they need to put their customers’ interests ahead of their own. This viewpoint has been championed by numerous members of Congress, both Republican and Democrat, who are, shall we say, friendly with the financial services industry, especially come fundraising time. Needless to say, when the financial services industry says it’s simply acting on behalf of ma and pa investor, it doesn’t mention the hotels and vacations and the iPads, the TAG Heuer watches, the first-class airline tickets, the theater tickets, the sports memorabilia, the … well, you get the idea. There are lots of ways to make money in the financial services industry, and not all of them involve cash. And many of them put consumers like you at a disadvantage. My advice: The next time you get the invite to the free meal, pass. It might be the most expensive pasta you ever eat.